Flexible Car Detailing: ‘Wash Me Now’ Works Around Your Busy Schedule. Modern life can be extremely busy. It can be hard to find the time to visit your local car wash, but you spend time in your car every day and you want it to be clean. Spring has arrived and you’re sick of staring at the salt stains on your car. More than that, you miss the way your car sparkled when you first got it. 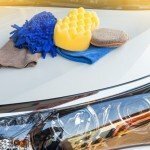 Turn to Wash Me Now for expert car detailing services! At Wash Me Now, we understand how busy your life is. We also know how much better your days will be when your car starts looking brand new again. Your hectic schedule shouldn’t mean that you have to crawl into a dirty car every morning to get yourself to work. That’s why our car detailing service is completely mobile—we can meet you anywhere in the GTA. Each one has its own mobile car washing unit and even comes with its own water and power, meaning you don’t have to spend a dime on equipment or even leave your house. As long as you’re in the GTA, we’ll come clean your car. Since we know how busy your schedule can get, we’re available seven days a week, starting at seven AM each day. No matter where you are in the GTA or what day of the week you would like us to make your car squeaky clean again, we’ll do it. We’re happy to meet you at the office or at your home, whatever works best for you. All you have to do is give us a call at (647) 607-5199 and tell us when and where to meet you—we’ll take care of the rest. We also know how much you spent on your car and how expensive regular cleaning and maintenance can be. We’re dedicated to keeping our prices reasonable while still providing your vehicle with top quality cleaning. You’ll find we even offer coupons for special deals on our website so you can save the most money possible—after all, what’s better than a clean car and a full wallet? Just in case you were wondering, it doesn’t matter what size your car is. Our trucks come equipped to wash everything from a regular car to a full size RV. Wash Me Now employees will leave your vehicle looking like it just came out of the factory. You can take a look at our photo gallery to get a glimpse of just how clean your car could be. Would you like to get your car detailed while sitting comfortably at home or working at the office? Give us a call today at (647) 607-5199 and tell us when you’re available and we’ll set up an appointment right away. Don’t wait any longer. With one phone call you can make sure your car gets the intense spring cleaning it deserves no matter how hectic your schedule might be.